Haym Salomon Home for Nursing & Rehabilitation is the home of Brooklyn’s only subacute unit which offers exceptional subacute care. After spending time in an intensive care unit (ICU) or any other acute facility, patients who are past the acute stage of their condition may need to spend time in a subacute unit. The aim of the subacute unit is to ready the patient for transfer to a standard ward or room in our facility. Because the needs of subacute patients are higher than the care needs of general patients, we run a team of highly experienced and specially trained staff. The nurses working in our subacute unit have all undertaken specialty training. All our subacute nurses are RNs, or Registered Nurses, and each has ACLS (advanced cardiovascular life support) training. Cardiac support training means that our nurses are able to deliver a standard of care far greater than that delivered by nurses in a standard care setting. For example, should one of our patients need to be intubated because of cardiac issues, our nurses are capable of doing this. Supporting our nursing team is a dedicated program director and program coordinator. We have a cardiologist who makes regular rounds in the subacute unit. Also on staff is an interventionist who constantly monitors the patients’ stats, looking for changes. Should changes be detected, our staff can swiftly intervene and work to return the patient to a stable status. Haym Salomon’s subacute unit offers patients a high level of subacute care. We are the mid-way point between intensive care units and general care facilities. We have the equipment and staff required to ensure that our patients do not go back to the ICU or the hospital. This is one of our key aims. One way we achieve this through exceptional staff to patient ratios. For example, for every six patients, we have one dedicated RN. Our unit consists of 18 beds so each patient is guaranteed individualized and prompt care. We utilize EKGs (electrocardiograms) and, if necessary, other cardiac-related diagnostic measures. The patients in our subacute unit come to us with a range of health issues. The unit is not solely for cardiac patients. However, because of the severity of the illnesses or injuries our patients present with, cardiac monitoring is an essential part of care in the subacute setting. The subacute unit doesn’t shut down on the weekends or overnight. Instead, we are here for the community on any day and at any time. We take admissions from the hospitals when the patient is ready to move from acute to subacute care, no matter the time. As the only subacute unit in Brooklyn offering such a high level of individualized care, we know that we have to consistently strive to serve our community. There is a great need for this kind of care unit. In the future, we may look at expanding to accommodate more than 18 patients–watch this space. 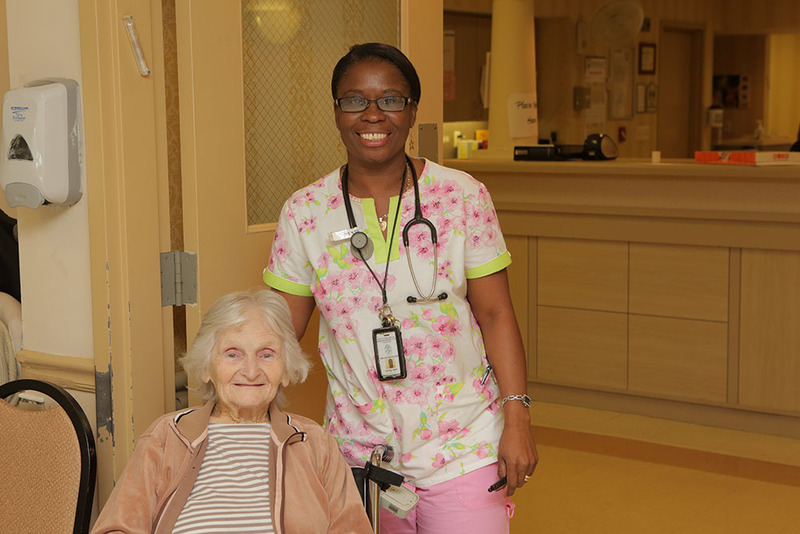 If your loved one requires subacute care you can count on the subacute unit here at Haym Salomon Home for Nursing & Rehabilitation in Brooklyn to provide compassionate care in a first-class facility.